FindNZB.net is a Usenet indexing site with a confusing user interface. 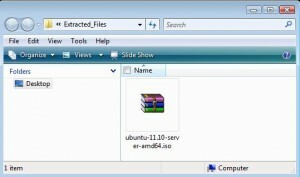 This page will show you how to download the files that you find on FindNZB.net step-by-step. (Note: this tutorial was done on Windows, however the steps are the same on the Mac). FindNZB.net is an indexing site, so in order to download the files that you find there, you must have access to Usenet. In the old days, every ISP offered free Usenet access, but many in the USA no longer do so. So check with your ISP, and if they don’t have a Usenet server you will need to sign up with an independent Usenet company like Easynews. 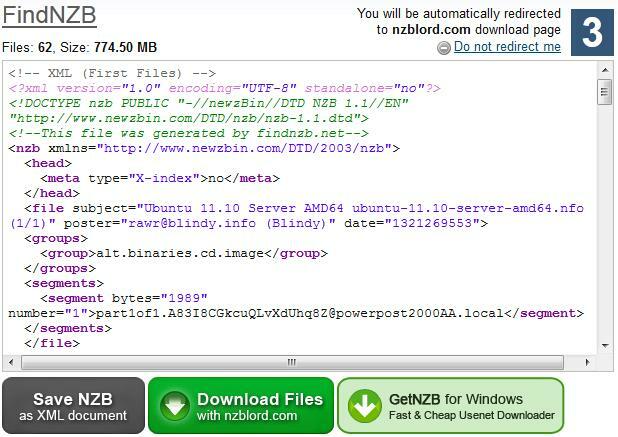 Click the icon circled in red to download the NZB file. 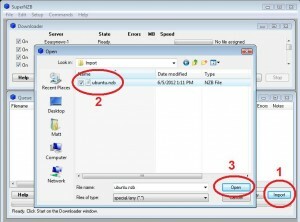 Step 3 – Download the NZB File – Again! There is no need to throw the guts of the NZB file in our face, and many users will be totally baffled by this screen. But all that you need to do is click the “Save NZB File” button in the lower left corner. 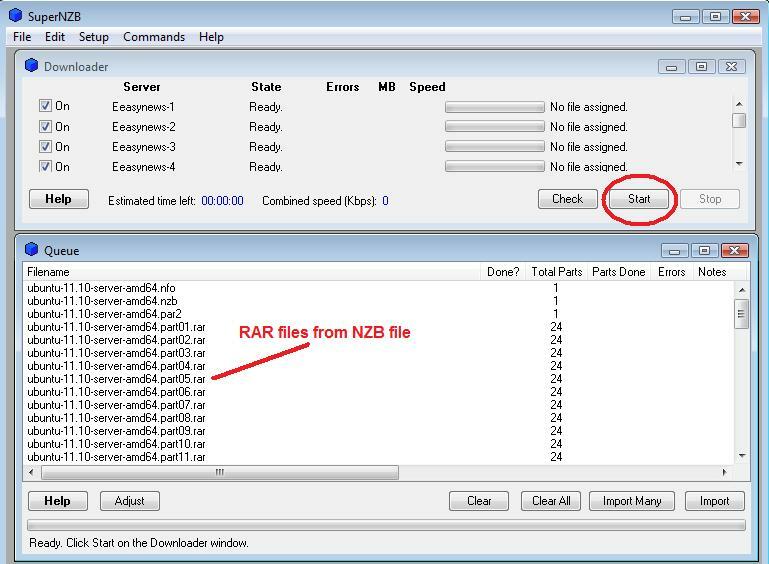 Now we need to import the NZB file that we downloaded in Step 3 into NZB downloader software like SuperNZB. 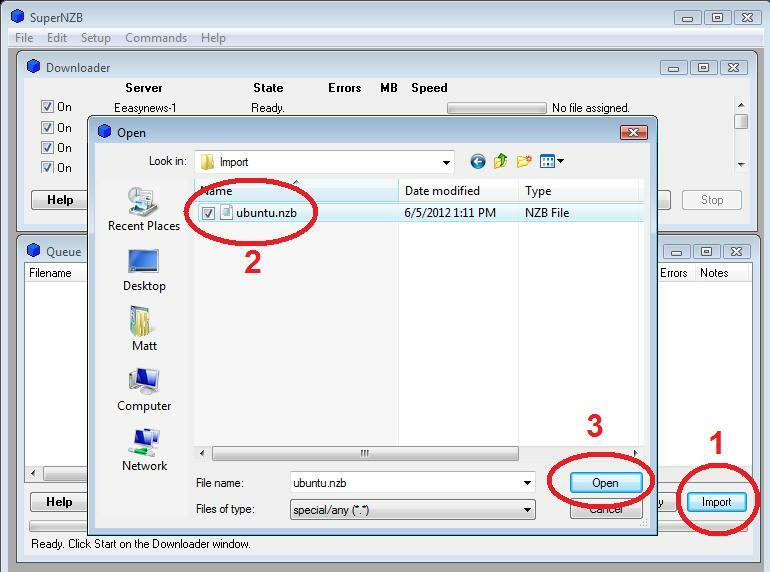 The screenshot below shows three steps: 1) Click the “Import” button on SuperNZB’s Queue window. 2) Find and select the NZB file. 3) Click the Open button.